These are games that involve players receiving a mix of cards with some facing down and others up and are dealt in several betting rounds. Games of this type usually require the player who has the best hand face up cards to bet first. 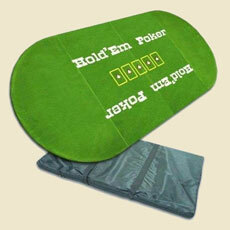 The face down cards for each player are also known as hole cards. The first type of Stud Poker game used 3 cards and then came the 5 card games which became popular during the American Civil War especially among the soldiers. Today however, there is a 7 card Stud Poker game which has become so popular and can be played both is casinos as well as at the comfort of players’ homes. Nowadays, at many of the present online poker rooms you can find almost all the types of poker. It is better to lower limits at the beginning of the game and gradually increase them as the game progresses. It is also advisable to use the bigger bet on the second round especially if there is an “open air”. Stud Poker games require the betting rounds to be named before the beginning of any betting round and after the number of cards each player is holding is complete. When playing seven card Stud game a player will be handed 7 cards with only the best 5 cards will be used in determining the winner. This game is usually based on the limit betting structure and here these bets are in fixed increments. Before every game starts all the players are supposed to bet some nominal sum which will depend on the game and is usually shown in the table’s title bar. This is a round of Stud Poker game that starts with players being dealt with three cards where two will be facing down and one facing up. The player who has the lowest facing up card will be the one to start the game and should be played clockwise. In this round of Stud Poker game the players will be added a fourth exposed card and the one who will have the best poker hand value of their exposed cards will be the one to start the game. Here players will be given another exposed card and the player with the highest poker value in their exposed cards kick starts the game. In this game round all the players will be given another exposed card and the starter will be the player having the highest poker value in all their exposed cards. In this final round of the game the players will be given their final cards which are supposed to face down and the first to play will be the one who has exposed cards with the highest poker value. There will be a round of betting and if there is more than one player remaining after the round of bets then the game goes to showdown. The showdown requires the last bettor to show their cards and this should then go clockwise and the one with the best five cards will win the pot and if this is the same for several players they will have to share the pot.